⇒ NavigateAbout – Class Schedules – Staff – Contact Us – Registration Forms – Scholarships Programs – Foreign Languages – Dance Classes – – Ballet Dance Classes – – Hip-Hop Dance Classes – – Jazz Dance Classes – – Lyrical Dance Classes – – Modern Dance Class – – Tap Dance Classes – – Recital Information – – Dance Registration Form – Music Classes – – Piano Lessons – – Singing & Vocal Lessons – – Guitar Lessons – – Violin Lessons – – Drum Lessons – – Wind Instrument Lessons – – Group Music Lessons – – Glee Classes – – Music Registration Form – Acting Classes – – Acting Registration Form – Art Classes – – Visual Arts Registration Form – Birthday Parties – Summer Camp – Spring Camp – MVP Homeschool Program Aftercare – Full Day Programs – Aftercare Registration Package Summer Camp Studio Rentals Events & Tickets Arts 4 All, Inc.
We can be the actors this city needs; the legacy this world needs. These are the awesome opportunities my new Teen & Young Adult Acting Classes at Inna’s Hall Of Fame, for Cooper City, Davie, Hollywood, Pembroke Pines & other Broward county residents. With intensive training, our teen and young adult program combines both theatre and acting on screen. Students seeking to make a career as an actor will have opportunities to showcase their work at in-house shows, a local theater, competitions, and in short films and scenes. In addition, footage will be given to the students to use in their personal acting reels for auditions and to promote their work. Since there will also be original material written by the instructor, students have the opportunity to act in fresh productions that have great roles written with them in mind. Costume designers and those interested in other technical aspects of theatre and film can also sign up and contribute to the program and have opportunities to showcase their work and grow. With intensive training, our teen and young adult program combines both theater and acting on screen. Students seeking to make a career as an actor will have opportunities to showcase their work at in-house shows, a local theater, competitions, and in short films and scenes. In addition, footage will be given to the students to use in their personal acting reels for auditions and to promote their work. Since there will also be original material written by the instructor, students have the opportunity to act in fresh productions that have great roles written with them in mind. Costume designers and those interested in other technical aspects of theater and film can also sign up and contribute to the program and have opportunities to showcase their work and grow. Improvisation is the art of creating an outcome offhand. Our class will teach students to perform using basic guidelines without a script. In the Improv acting classes they will learn to create a storyboard solo and as a group that will captivate an audience from beginning to end. Improv will stretch the imagination of each student to allow them to grow as young adults and performers. Acting is the art of representing a character on stage. These acting classes introduce students to this art. We will explore the origins of theatre, learn theatre terminology and etiquette, as well as character development to perform monologues and skits throughout the semester. Acting II continues from the lessons learned in Acting I. We will review theatre terminology and etiquette, but focus on character development, the audition process, and stage productions. Musical theatre is the art of portraying characters accompanied by music and dance. Students will implement skills learned in previous classes and through the semester to produce a show. Each student will audition and will be cast according to their skill, work ethic, and commitment. Technique is a way of carrying out a particular task. Every person has a certain way of executing assignments. 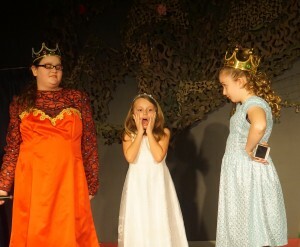 Acting Techniques allows students to explore proven techniques that fit their style of preparation and performance. Children will learn theater skills through games, character development and improvisation and will be part of a creative process. This highly professional Broadway style acting classes include dancing, singing and acting. Explorations of all art forms will be the technique for success in this class. Anywhere from Pop, Rock, Blues, Classical to different forms of international music will be explored. GLEE students will have several chances to perform throughout the year to show off their triple threat talents, and will be a part of the overall recitals in May and June. At the last class of each session, parents will be invited in to observe a presentation of learned exercises and rehearsed performance material. This class will work in collaboration with Inna’s Competition Dance Team. The Performance class will focus on acting and performing skits that will be presented in conjunction with the dance company’s recital in June. 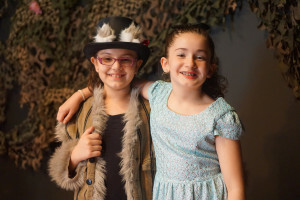 This class involves the students in the theatrical process through acting exercises designed to free the imagination, foster spontaneity and flexibility and increase self-confidence. Movement for the stage, theater games, character development and improvisation are used to help students engage in the creative process. This class leads to a performance in a professional theater setting and students are expected to be committed and work at the highest level of professionalism. Students must be available for the mandatory dress/tech rehearsal and the performance. >: Join Inna’s Hall of Fame – Broward County’s – theatre program and learn about performing on stage with others, theater lessons Broward.